Synthetic leather upper provides exceptional step-in comfort with added durability & support . Mesh tongue for enhanced breathability to keep feet cool & dry all game long. 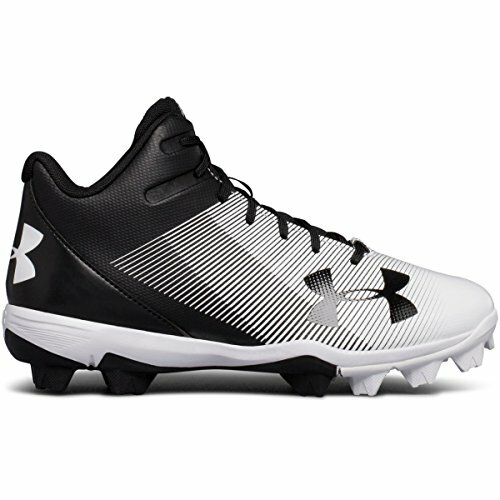 Full-length EVA midsole for added comfort, cushioning that evenly distributes cleat pressure under the foot. 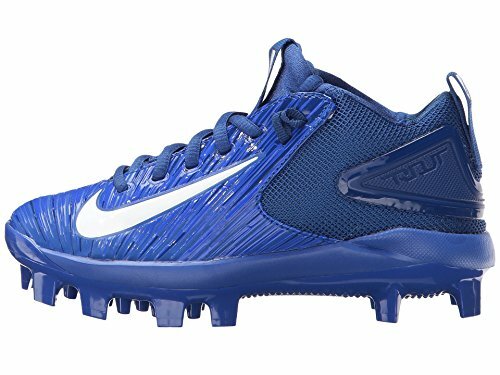 Rubber molded cleats provide optimal traction & durability on all field surfaces. Sneaker style for young power hitters. 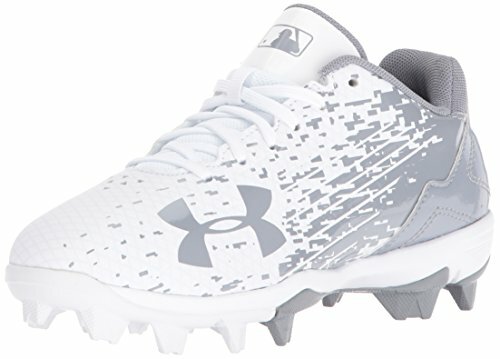 These kids' baseball cleats feature a durable nubuck upper and a perforated vamp for breathability. 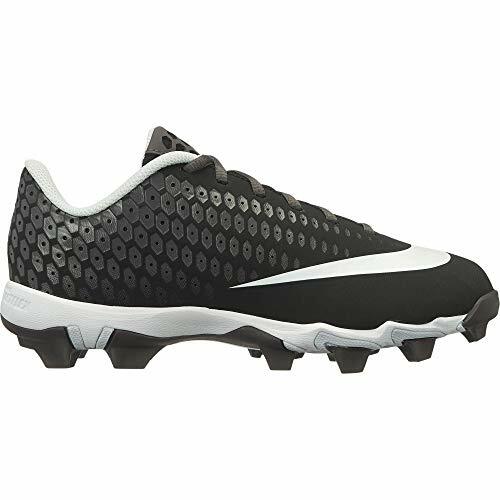 The molded rubber outsole provides multi-surface traction for hitting and fielding. Synthetic leather upper provides premium support & durability. Mesh tongue for added breathability to keep your feet cool & dry . Adjustable ankle strap locks you in with powerful stability & support. 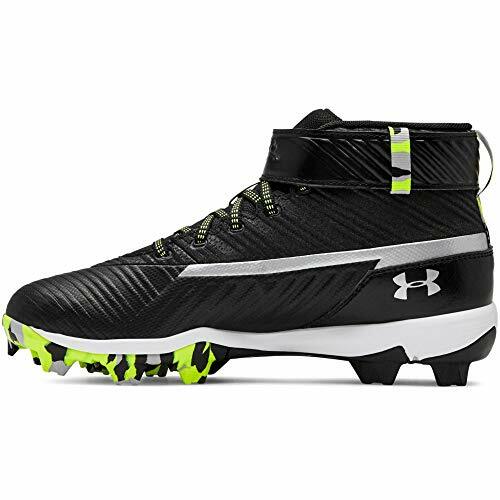 Full-length EVA midsole helps disperse cleat pressure & provides ideal comfort & cushioning . Rubber molded cleats provide optimal traction & durability for all field surfaces. Weight: 9.2 oz. Synthetic leather upper provides exceptional step-in comfort with added durability & support. Mesh tongue enhances breathability to keep your feet cool & dry all game long. 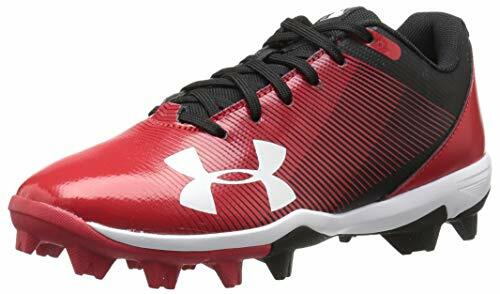 Full-length EVA midsole for added comfort, cushioning & dispersed cleat pressure. Rubber molded cleats provide optimal traction & durability for all field surfaces. 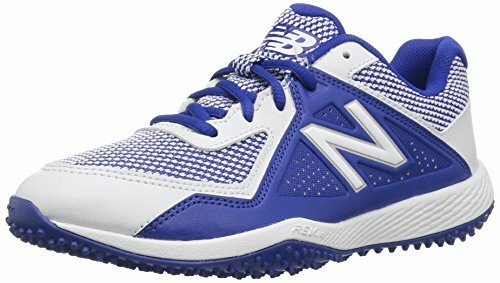 They'll burn up the base paths in the lightest shoes in the game. 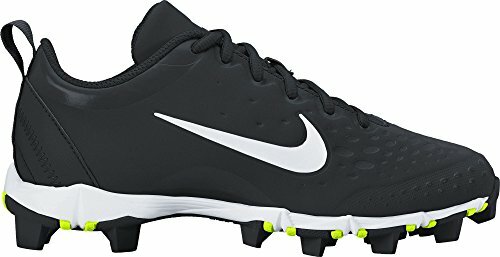 These kids' baseball cleats feature a durable nubuck leather upper and a breathable mesh tongue. The molded rubber outsole offers multi-surface traction for hitting and fielding. The Nike Rongbuk GORE-TEX Waterproof Trail Running Shoes features a sandwich mesh and leather upper for a great combination of durability and breathability to help keep your feet dry and comfortable. With a phylon midsole, this trail running shoe provides a soft and responsive cushion underfoot for those trickier trail ascents and descents. The sticky rubber outsole provides great traction underfoot, ensuring you can tackle all types of rugged terrain. With a GORE-TEX lining, these trail running shoes will keep your feet dry and comfortable at all times, avoiding that damp feeling so you can run for longer. The TY4040v4 allows even the games youngest future stars to be able to rock the same turf trainer as their favourite big leaguer. With an all over, one-piece nubby outsole, the T4040v4 is sure to provide traction for all surfaces. 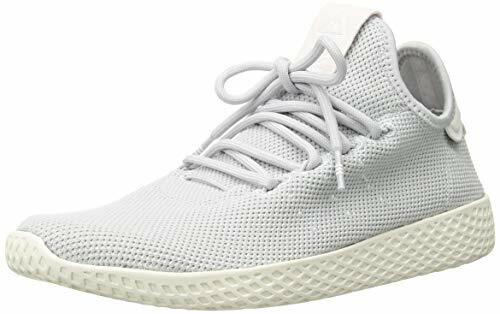 The Tennis Hu shoes reimagine crisp court style with creative flair. These women's sneakers have an endless summer vibe with hues inspired by ice cream stands and California beach life. The stretchy knit upper hugs the foot for a supportive and comfortable feel. Flywire cables offer a locked-in fit. 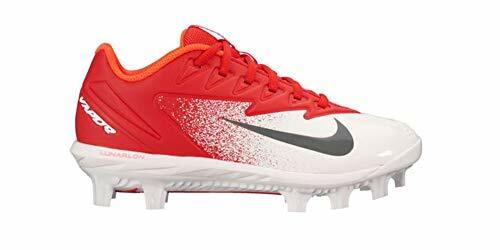 Synthetic leather and NikeSkin upper for durability. Phylon midsole with Nike Air unit for lightweight cushioning. Molded synthetic upper provides dependable support & a comfortable fit . Adjustable ankle strap locks you in with powerful stability & support. 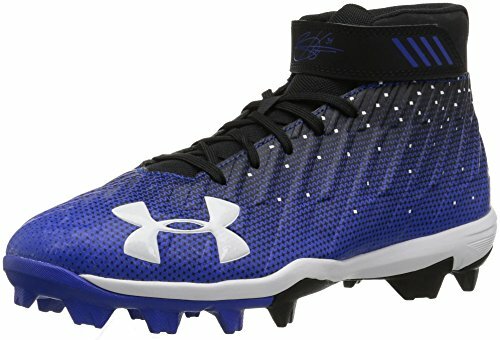 Full-length EVA midsole helps disperse cleat pressure for added comfort & cushioning. Rubber molded cleats provide optimal traction & durability on all field types. Weight: 9.2 oz. 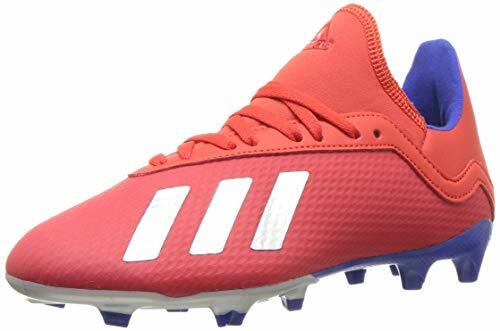 Make sure your child's impact is felt during each game in the adidas Icon Splash IV MD baseball cleat. 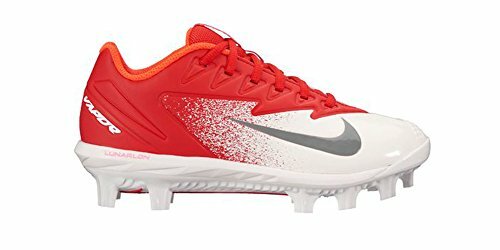 Built for multidirectional movement, the Nike Vapor Ultrafly 2 Keystone Men?s Baseball Cleat will keep you light on your feet. 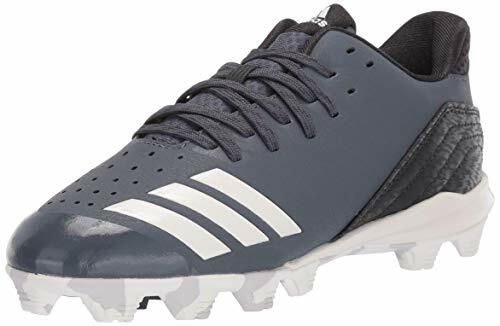 It features an asymmetrical tongue and laces for lateral support while rounding bases and a 12-stud configuration for powerful traction. Brand: Nike | Manufacturer: ik Inc.